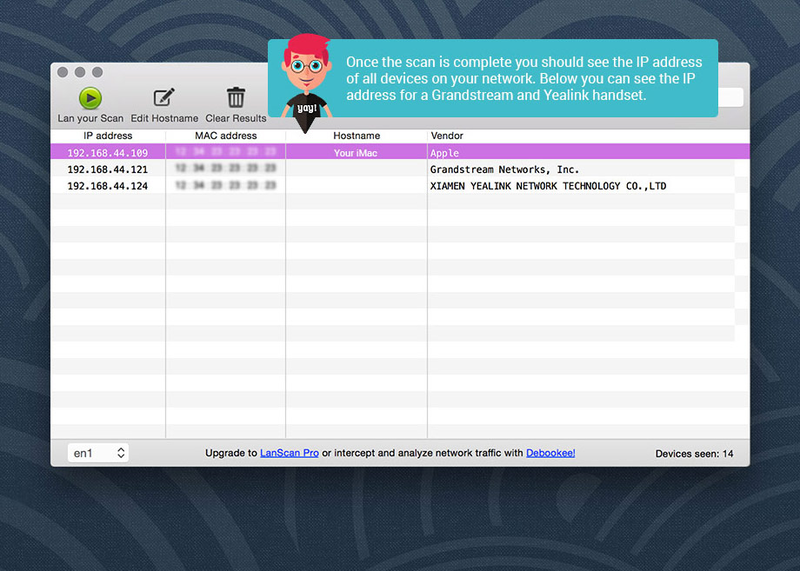 LanScan for Mac is a free IP scanner for Mac OS that allows you to scan your local network to see everything operating on it. 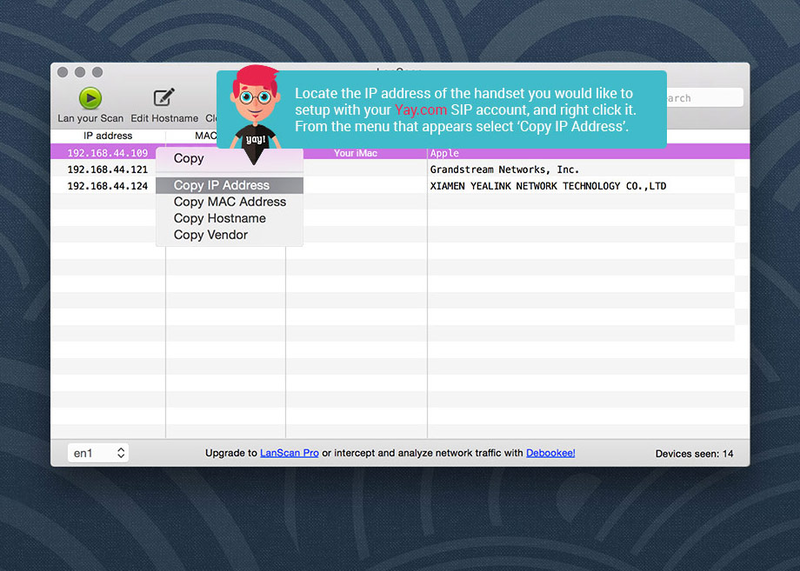 We like scanners like these, because they help you to easily find and identify the current IP of your hardware phone. 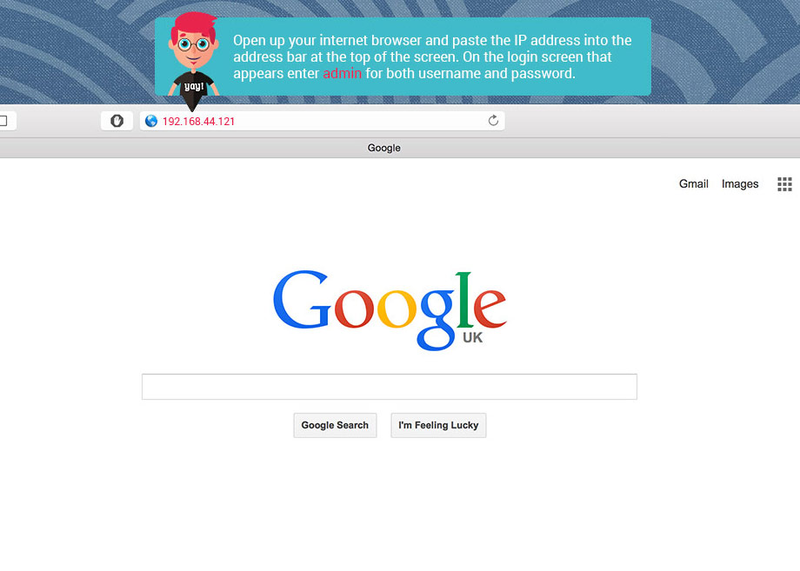 Once you know your IP, you can put it into your web browser and login to the phone to configure; much easier than using the tiny menu and keys on the phone.